In our quest for an escape from corporate woes, we found ourselves in Bricks & Copper, a hole-in-the-wall that promises an authentic experience of Turkish cuisine. 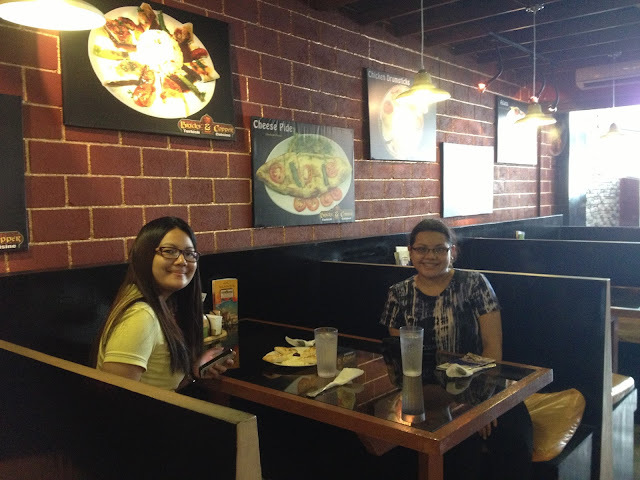 For appetizer we ordered their Babakanus with extra bread cos the bread's really good especially when warm. 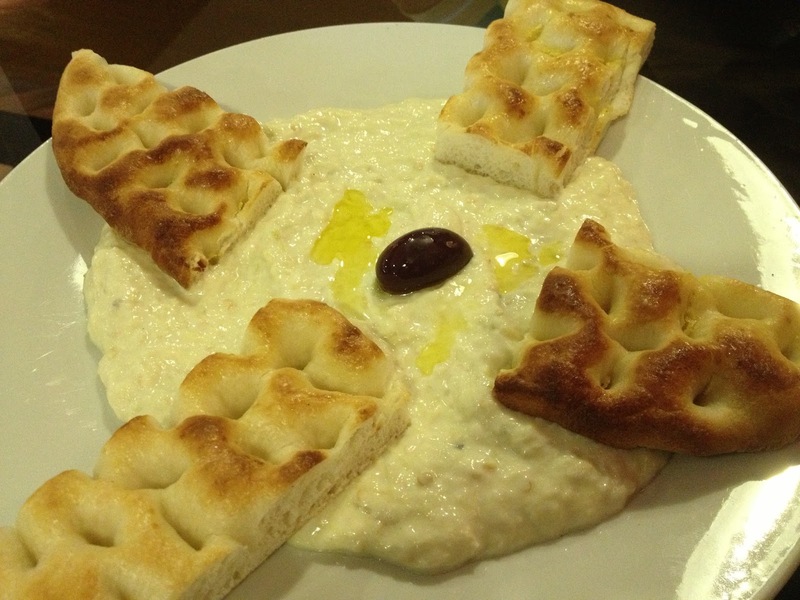 I ordered the Menemen with Turkish pilav. 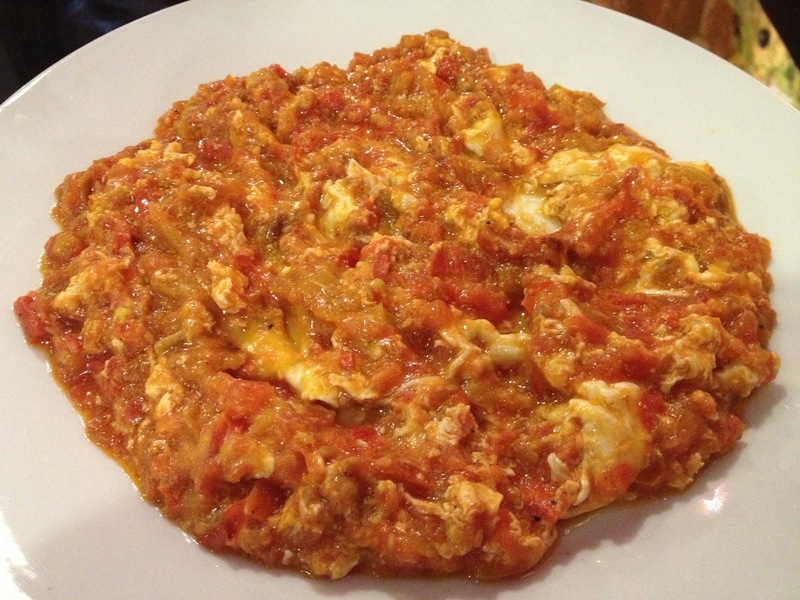 Menemen is a traditional Turkish spicy egg omelet with chili, salt, black pepper and tomatoes. 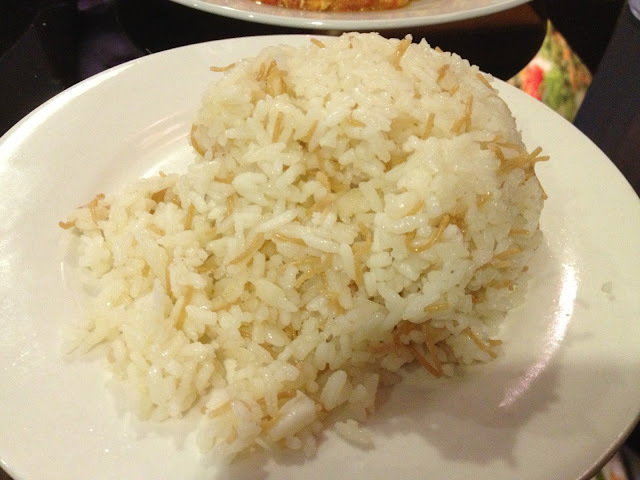 Romy had the Tavuk Pilav (Chicken on Turkish Rice). 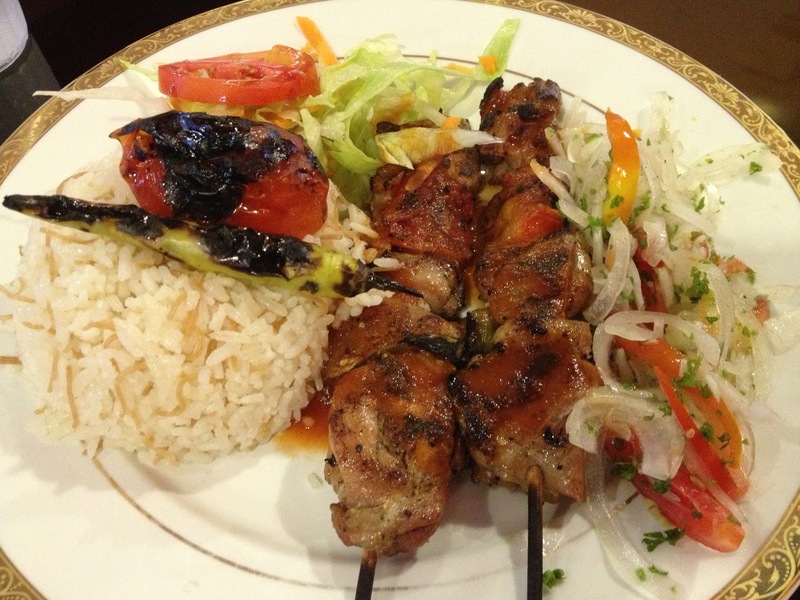 While Ten had the Adana Beef kebab on Turkish Rice. 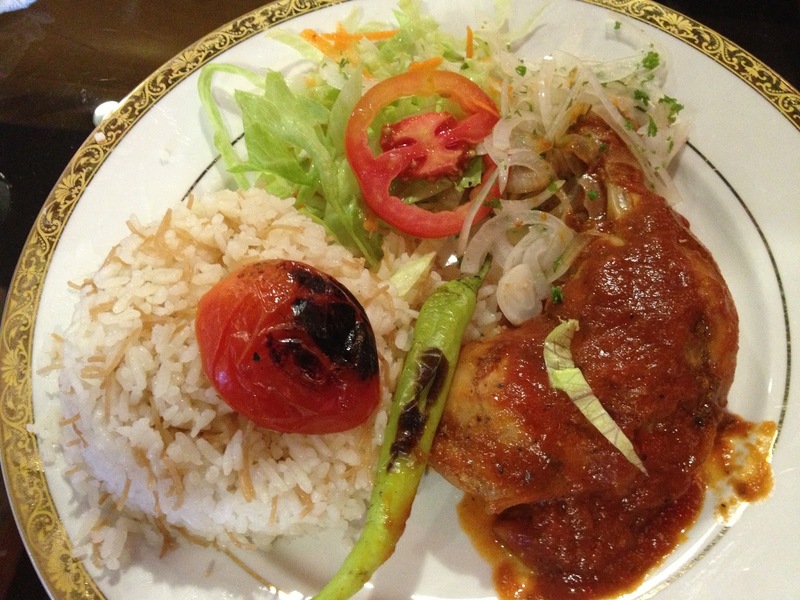 Basically, beef kebab on Turkish rice topped with special tomato sauce with vegetable sides. 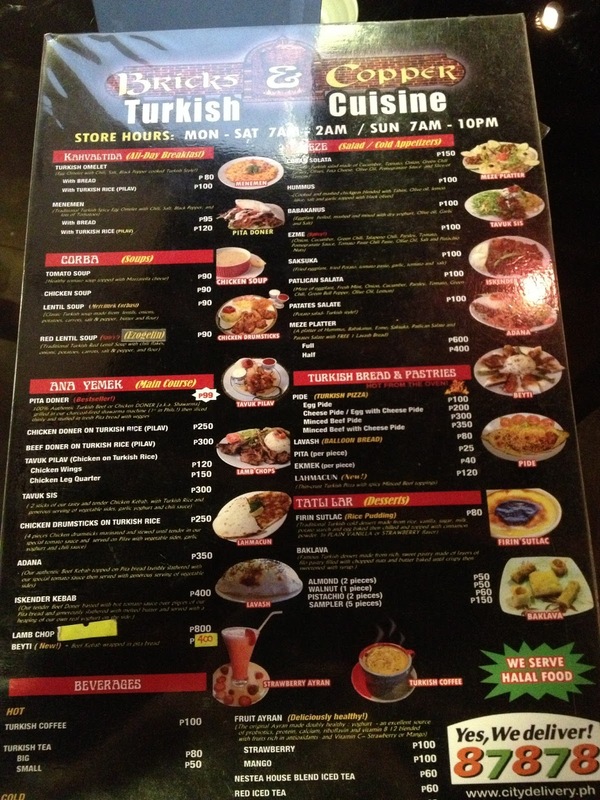 In fairness, there's really a distinct taste to their tavuk and adana that I haven't had before. It's really good. Unlike my forgetable Menemen hahaha. The Turkish chef is also there if you wish to talk or ask him more about the food. Nadyahe lang kami kasi we think he was on a break. Kawawa naman, mukhang pagod.